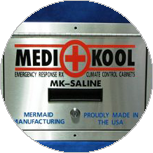 Mermaid Manufacturing has been manufacturing Medi-Kool climate controlled drug cabinets for over 10 years. We are the originators of the climate controlled mobile storage solution and well known in the industry as a trusted manufacturer of medical grade climate solutions. Every refrigerated lock box comes complete with a Medi-Kool Digital Control Board that delivers incredible control over the internal climate of the unit. Our products are manufactured with durable, sterile stainless steel, right here in the United States. Mermaid Manufacturing has been manufacturing Medi-Kool mobile medical refrigerators for over 10 years. We are the originators of the climate controlled mobile storage solution and well known in the industry as a trusted manufacturer of medical grade climate solutions. Every refrigerated lock box comes complete with a Medi-Kool Digital Control Board that delivers incredible control over the internal climate of the unit. Our products are manufactured with durable, sterile stainless steel, right here in the United States. 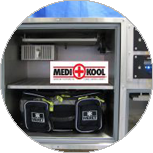 We are original creators of Medi-Kool, the climate-controlled, mobile storage solution. See all of our standard systems here. Can’t find a cabinet that meets your needs ? No Problem! Here at Mermaid we make everything in house and have the ability to build custom cabinets and faceplates. Whatever your needs are, we’ve got you covered, from lock boxes to drawers, shelves, and mounts. 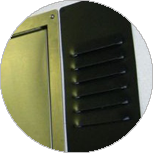 It is very important that installers understand our venting requirements. Provide you accurate pricing based on the size unit you need. Hand build your Medi-Kool unit in only 2-3 weeks. Ship the unit directly to you. Please remember that the unit requires proper ventilation. 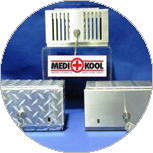 If you need any support or maintenance after you receive your Medi-Kool, go here more information or call us today. the size of the bag you’ll be storing in the cabinets. We stand by all of our products and we’ll give you a 5 year warranty on every Medi-Kool unit. 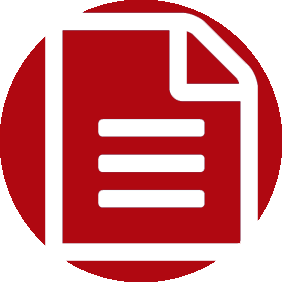 In addition to covering manufacturer defects, we’ll meet you more than half way on shipping costs. For the first year from the date of your purchase, all shipping costs, replacement parts, and service performed under warranty is covered by Mermaid Manufacturing. After the first year from purchase through the end of the 5 year warranty (the remaining 4 years), we will perform all service and replace all parts that qualify for our warranty program for free, provided the customer covers all shipping charges. You pay for shipping to us and from us back to you, and we’ll take care of the rest.